UMass men's hockey defenseman and Hobey Baker Award victor Cale Makar signed a three-year entry-level contract Sunday with the Colorado Avalanche. 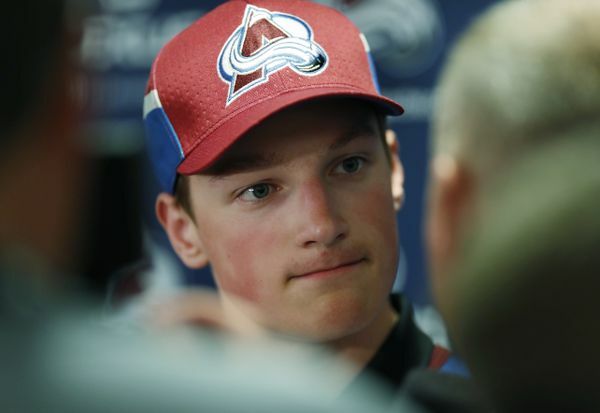 The Avs signed the reigning Hobey Baker Award victor Sunday, and he will join the team immediately for its series against the Calgary Flames. The Calgary, Alberta, native opted to return to the University of MA, though. With great skating ability, an outstanding two-way skill set and high hockey IQ, Makar is considered to be one of the purest blue line talents to come out of the college hockey ranks in some time. The 20-year-old Makar finished first among NCAA defensemen with 49 points. Coming off of Saturday night's overtime thriller, the Avs will host the Flames on Monday for Game 3.